For anyone who watched the Oscars, you’ll remember his speech (New York Magazine called it one of the evening’s best moments.) Luke gave me his permission to post the above photo on my blog…. 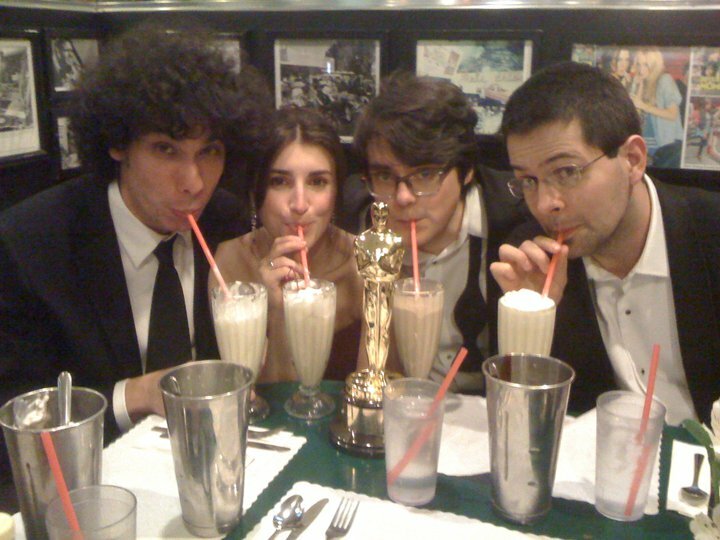 Unclear where this picture was taken, but one thing’s very clear: milkshakes taste much better when you drink them with an Oscar.